Written by Rm Harrington on . Posted in Arizona Air Conditioning Installation, Arizona Air Conditioning Upgrade Sale, Trane. In the realm of home comfort, what goes around always comes around. For the time being, Gilbert temperatures are in a downturn. But we all understand the nature of seasonal loops: Today’s cold spell is tomorrow’s heat wave. The months separating your home cooling system from the 110-degree plus scorch of yesterday will pass quicker than a kid’s Christmas toy. Remember that odd chattering sound that came about every single time the outside condenser kicked into gear. You knew then that the unit wasn’t going to make another season. But you bit your nails and hoped against hope until you essentially beat out the clock. That old worn out home cooling system actually managed to pull off one more victory over the Gilbert heat storms. But you know the death throbs are in place. Sooner rather than later, your existing air conditioning system is heading to the scrap mill. And the comfort of your family hangs in the balance. Perhaps you were ready even this year to buy a new cooling unit. But you just couldn’t catch that “perfectly affordable” new Trane AC deal. Well. The “ideal time” has finally arrived. The scent of A/C affordability is in the wind. 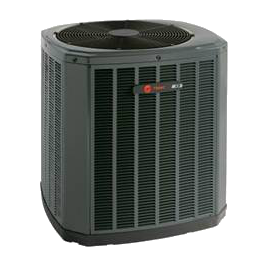 Even now, American Cooling and Heating has determined to offer Gilbert residents the best post season pricing in the entire local new Trane Air Conditioning marketplace. No one likes throwing money out the door. Yet an aged, poorly tuned or worn out home cooling system does exactly that. 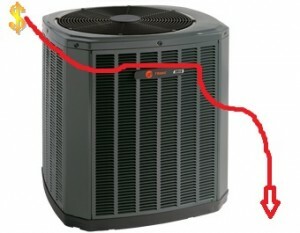 Inefficiency in home cooling is like inefficiency in an automobile engine: Both waste power and both lack in performance. Unless delivered by nature, the cost of cold air is never cheap. But in many cases the cost is far higher than what needs to be. 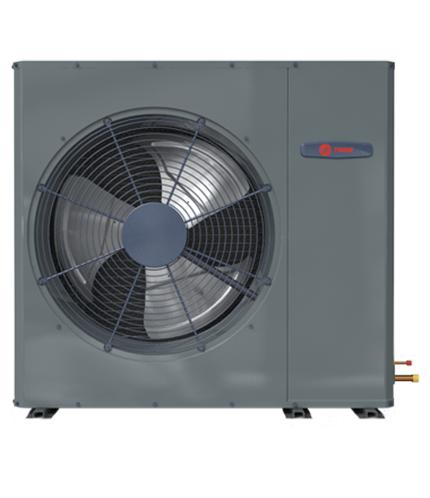 Modern Trane A/C systems stand unparalleled for energy efficiency. 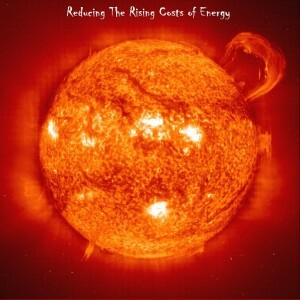 Many households save as much as 60 percent on the yearly energy bill. No matter the size of your home, Trane Air Conditioning equipment has a fit that will keep your household comfortable while also providing an economical and affordable replacement for a dying energy hog. AND all other major brands of Air Conditioning Package Units, Air Conditioning Split Systems, Air Conditioning Condensing Units, Air Conditioning Air Handlers, and all types of A/C Systems. Written by Rm Harrington on . Posted in Arizona Air Conditioning Upgrade Sale, Arizona Commercial Air Conditioning HVAC, Thermostats and Controllers. Argument: Is A Programmable Thermostat Efficient? 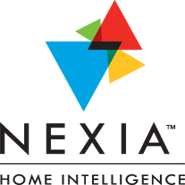 According to one regional Department of Commerce web file, nearly 70% of the homes that currently heat and cool via the control of an installed programmable thermostat are wasting money (1). It seems that most homeowners fail to complete a primary step in the installation process: they don’t program the thermostat. Thus a device designed to help you save energy ends up being no more efficient than the manual version of the same product. Hey. It doesn’t have to be that way. Fact is: if programmed effectively, the first-year savings from a correctly installed and programmed home comfort management system can sometimes recoup the full cost of the unit. Just ask the tech to help you get started. After the initial unit cost is recovered, the energy saving from your thermostat investment becomes a cumulative benefit. A properly programmed “smart” thermostat requires less personal attention therefore you get superior home A/C comfort with better energy efficiency without the added cost of consistent manual manipulation of the controls. A/C thermostats are used to control the temperature within a business, home or various sections thereof. By gauging internal temperature in relation to a pre-set comfort configuration, the thermostat activates the power controls on a central air conditioning, furnace, or heat pump comfort system. Furthermore, if the associated home comfort system includes air exchangers or humidifiers, the thermostat can control those mechanical systems also. In the tradition of the times, the wheel on early manual thermostats followed the nature of a dial telephone. The homeowner dials up the number (desired temperature setting) and conditions in the home or business remain stable as such until such time as someone rotates the dial left or right. However, due to the need of manual intervention, most folks have a habit of selecting a “comfortable” setting and then leaving it in place — even at night or during times when nobody is home to gain the benefits of a human-comfortable setting. And a host of other exciting options. Various models also include options for auto-changeover for weekends and weekdays, evening to night and even special adjustment modes for morning versus daylight hours. Furthermore, many programmable systems include the power to manage and control heat pumps, air exchangers, humidifiers and other mechanical devices. Designed for the homeowner or business owner with a desire to reap even greater energy efficiency than that which can be provided via a digital programmable thermostat, Trane and other major A/C manufacturers have developed “Smart” thermostat technology. The programming options typically match or exceed the modes provided by a digital system, however Smart thermostats include one significant improvement: Smart thermostats use an applied rudimentary form of artificial intelligence so that they can actually “learn” the heating and cooling preferences of the user. This means the unit can actually make adjustments according to the factual presence of a human being within the dwelling or office. Additional features include Wi-Fi control via smart phone apps, tablets or personal computers. This also enables the homeowner to receive monthly e-mail reports that offer suggestions for even more efficient use of the system. Some “Smart” units even link to home security systems. Thus some “Smart” programmable thermostat units not only monitor and control your homes HVAC systems, they can also provide remote monitoring and operation of many other home security and comfort functions. And A Fantastic Digital Picture Frame Display For Times When The Unit Is Not In Use. Installation – Although the physical installation of a programmable system may be fairly simple for some folks, remember that damaging your system due to a crossed wiring accident isn’t going to play well with the product warranty. Some units require wiring changes that the average homeowner is better off leaving to the skills of a trained HVAC technician. Furthermore, if you plan to include additional devices, the wiring tends to get even more complex. Location – It’s all about performance and efficiency. To function most effectively, a thermostat should be located away from doorways, drafts, direct sunlight, windows and other specific forms of interference. The installer must also consider air currents such as those involved in war air rising or the opposite which is cool air sinking. Programming Your Thermostat – Now is when the homeowner really has to consider various options, options that no tech can weigh-in without homeowner input. However, even without knowing the basics of your household family schedules, don’t let the tech leave without having him or her walk you through some of the basic programming processes. With American Cooling and Heating, you won’t need to worry about being inadequately trained. Our techs want you to know your system and how to get the best from your new programmable thermostat control unit.